In every dance, somebody always has to make the first move. And in the contract negotiation tango between Edwin Encarnacion and the Toronto Blue Jays, Edwin’s camp has already made a bold statement. 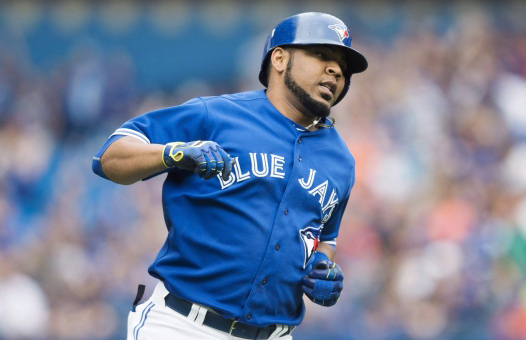 To the surprise of many, reports emerged yesterday from WEEI in Boston that Encarnacion has set an arbitrary drop dead date of Spring Training 2016 to conclude any contract negotiations with the Blue Jays. It’s within Edwin’s right (and Jose Bautista’s as well) to make that demand; he’s signed an extremely team-friendly contract extension with the Blue Jays in the midst of the 2012 season. And the time will soon come for Encarnacion to get paid … and paid handsomely. Let’s be honest here; this was a power play by Edwin Encarnacion’s agent Paul Kinzer and probably not Encarnacion himself. This was just the first of many chess moves between the Edwin Encarnacion’s camp and the Toronto Blue Jays. This is the song and dance that agents and front office staff play with each other; agents leak information, teams go into damage control, and they eventually come to an agreement or they simply walk away. In the case of Edwin Encarnacion, I think this was simply a strategy to expedite any potential contract negotiations. EE’s agent wouldn’t have leaked information like that unless they wanted to Blue Jays to make a bid. Now, this is another game to help extract a little more money, as the WEEI piece made it sound like the Boston Red Sox may swoop in and ink Edwin Encarnacion if the Jays can’t come to an agreement. So why would this report leak from Boston of all places? 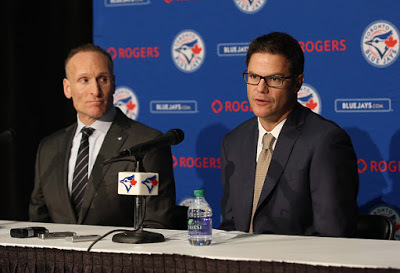 To me, that was the most curious part of this whole thing; wouldn’t the Blue Jays beat reporters have an inside track on this; not the Red Sox reporters? Jamie Campbell provided some clarification earlier today on Jeff Blair’s show, and it’s actually a pretty simple explanation. 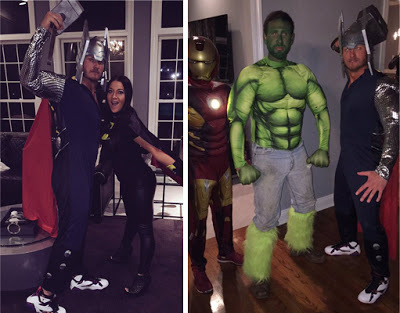 “Just this past weekend, David Ortiz had his highly-attended charity golf tournament in the Dominican, in which Jose Bautista, Edwin Encarnacion, and I believe Josh Donaldson participated. As fun as it would be to wonder why a division rival would report info like this, that reasoning from Jamie Campbell threw cold water on the whole thing. But the issue at hand still remains; the Blue Jays will need to decide pretty soon what they want to do with Edwin Encarnacion. As much as I have an affinity for Bautista and everything he’s done for the organization, if the Blue Jays only have the payroll room to extend one of Edwin or Jose, I’d have to go with Edwin Encarnacion. He’s a little bit younger, and he kind of projects to be a David Ortiz-type in the latter years of his career. If the Blue Jays truly have the money available and foresee Edwin Encarnacion as part of the team’s plans in the immediate future, then contract negotiations should go pretty smoothly. Term and dollars will likely become a sticking point, but if a competitive offer is tabled, it should be a fairly straight-forward process. The desire is clearly there on the part of Edwin Encarnacion to stay; and unlike the entire David Price process, at least there’s a drop dead date to have things completed by. Besides, if Edwin Encarnacion reaches the end of the 2016 season and enjoys yet another monster campaign with the Blue Jays, the bright lights of free agency may be too tempting. Another solid year by EE would invariably drive up his asking price anyway … so best for the Blue Jays to get a deal done now.